The Following Steps To Create An Order - CustomWriting.com custom writing service, you'll have absolutely no problem at all. In order to increase the convenience of the customers, we make sure to have a convenient system of placing an order. The whole process of placing an order is quite easy. The following steps summarize the whole process for you. 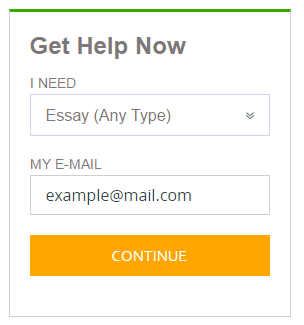 Just by following these few steps, you can place your essay order within minutes. There is an online form available at Customwriting.com. This form gives you a chance to give in your personal and payment details to us. In addition to this, through this form, you also give in complete detail about the order you place. Therefore, filling out this form is the first step in this ordering process. Once your form is filled, a professional writer is assigned with the task you have given. This writer will have the responsibility of completing your order. In the case of any change in requirements or complaints, you will have to contact this assigned writer. This is when the writer actually starts up with your order. Firstly, the writer carries out a detailed research about the subject or topic. Once the research is completed, the writing part starts. This step is of the major steps in this whole process. This is the last step. Once your order is completed by the writer, you will be informed via email or your contact number. You can then go through the order. In the case of any complaints, you can contact the writer and make the required corrections. The four steps mentioned above summarize the whole process. It informs you about the the way working process is carried out on our website. To make things even more convenient for the customers, we have also set up an easy payment process. Payments can be made online without any difficulty. Along with this, we also don’t ask for any advance payment, unlike other websites. Customers are required to make the payment only when their order is ready and they are absolutely satisfied with the level of work we have provided. When talking about the payment facilities, our website now also offers customers with credit card facility. This facility is for all those people who are unable to make payments right away but also have to place an order urgently. Therefore, they can now place an order and make the payment using a credit card. This facility is one of those facilities that distinguish our website from the other websites. Not every website gives the facility of making payments through credit cards. All in all, our custom college papers online service is certainly the right place for all those people who are in search of writing services. You will not only find high-quality services here but also have every convenient facility offered as well. What are you waiting for then? Visit our website as soon as possible. Place an order and experience the quality of write my paper service yourself. This is the place where you find a permanent end to your problems. You demand and we fulfill! How to Write Perfect Essay?